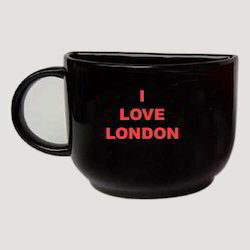 We are a leading Manufacturer & Exporter of Souvenir Mugs Section such as Half Mug - I Love London and Map Mug from India. We are a renowned name, which is engaged in delivering a supreme range of Map Mug. 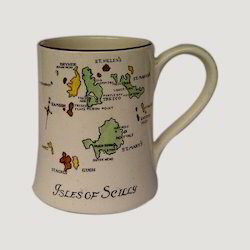 The offered range of map mugs is made utilizing high grade raw material and innovative techniques in complete adherence with the international quality norms. Moreover, the offered range of map mugs is known for its safe usage and scratch resistance. We are a renowned firm, which is engaged in delivering Half Mug - I Love London to respectable clients. The offered range of half mugs is made utilizing high grade raw material and modern machinery in strict adherence with the industry laid norms. Along with this, the offered range is best suited for promotional gifts.